Lovebirds come in 9 species and are broken into three groups: The white-eye ring group, the intermediate group, and the sexually dimorphic group. Within these groups are many different colors and types of lovebirds. The white-eye ring group consists of Masked lovebirds, Fischer's lovebirds, Black-Cheeked lovebirds, and Nyasa lovebirds. The Masked lovebirds (Agapornis personatus) have a blackish brown head, the chest and lower neck are yellow and the beak is red. They have a green body with a bluish rump and they are about 6- 6 1/4 inches (15-15.7cm). Fischer's Lovebirds (Agapornis fischeri) have an orange forehead, cheeks and throat, with a red beak, green body, and blue rump. The beak is red and they are 4 inches (10cm) long. Black Cheeked lovebirds (Agapornis nigrigenis) have an overall colour of green, with brown/black cheeks and forehead. The back of the head is yellow/green, and the throat is orange. They have a red beak and these birds are 4 1/2 inches (11cm). Nyasa lovebirds (Agapornis lilianae) are mainly green birds with a red beak, red forehead, and an orange/red throat and cheeks. The beak is red and these birds are 4 1/4 inches (11cm). The Peach-Faced lovebirds (Agapornis roseicollis) are the only type of lovebirds in the intermediate group. They have a green body with a vivid red face and throat. They have blue rumps and a green tail. For the hobbyist, the peach face lovebird sports over 75 mutations. They are 6-7 inches (16-18cm) long. The last group, the Sexually dimorphic group (meaning that the adult sexes can easily be distinguished by appearance) includes Abyssinian, Madagascar, Red-Face, and Swindern's Black-Collared lovebirds (although in this group, the Swindern’s sexes are very similar). The Abyssinian lovebird (Agapornis taranta) is mostly green, with the males having a red brow. The eye ring in males is redder, while the female has a green eye ring. The beak is red and they are 6- 6 1/2 inches (15-16.5cm) long. In the Madagascar lovebirds (Agapornis canus), the male has a gray upper body and head while the female has a lighter green. The rest of the body of both sexes is varying shades of green with black feather tips and a hazy yellowish color on the chest. The beak is grey and they are medium sized lovebirds at 5 1/2 inches (14cm). The Red-Face lovebird (Agapornis pullarius) is green with some yellow on the under parts. The forehead is red in males, but the females have a lighter orangish red. The rump is bright blue and the beak is red. Swindern’s Black-collared Lovebirds (Agapornis swindernianus) are without a doubt the most rare lovebirds of all. They have a green body with an unmistakable black collar around the back of the neck. Notice how all the above photos show these brilliant little parrots in cages “EXCEPT” for the Swindern, very special lovebird this one. Thank you Lutino for this nice topic that lets us know the 9 species of lovebirds and how to tell the differences between them. They are beautiful birds regardless of their loud voices. Please allow me to put the site that you took the information from and I hope everyone will cite any topic in the future. Wow, You mean this site is under your name? Good to know that. And again excuse me but in these cases we have to be so careful, most sites are illegal to quote or reproduce them without the proper permission. Great topic you strated here. 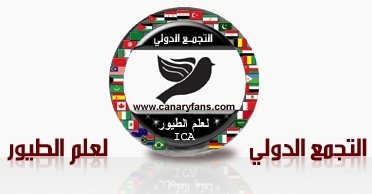 We hope to continu posting great topics about lovebirds and others.